Fine Dining is gaining ever increasing popularity and we all want to try newer dining places at international destinations. 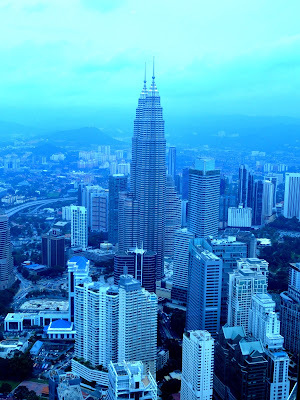 The tallest building in Malaysia is Menara Towers in KualaLampur. It is a telecommunication tower which is 276 mts above the ground level. 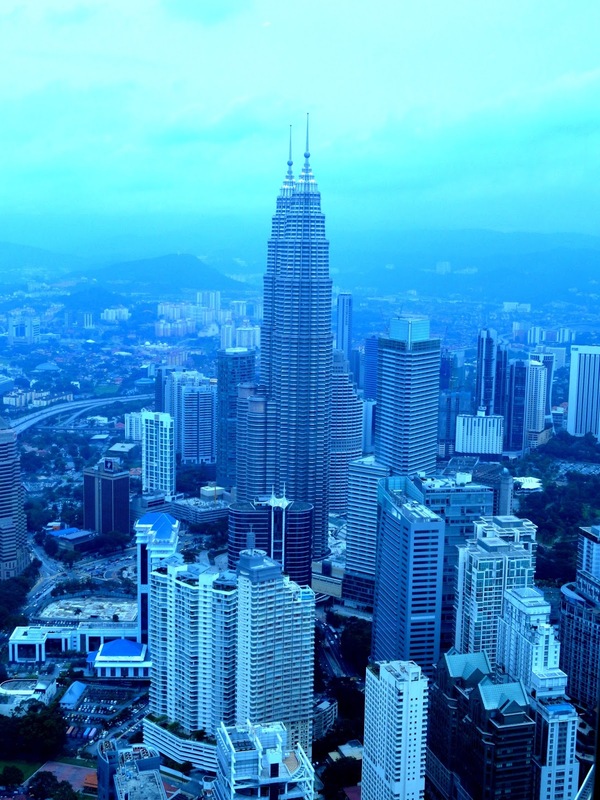 While we all know about the Petronas Twin Towers as one of the most tallest structure in Malaysia, Menara Tower also known as the KL Tower. 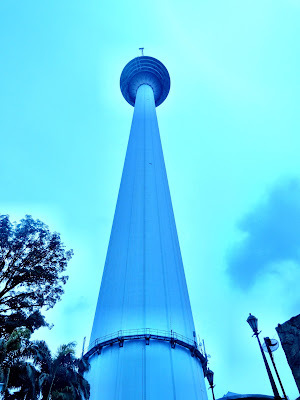 It is used for telecommunication, the total height of this tower is 421 mts or 1381 feet, the 7th tallest freestanding tower in the world (after Tokyo Skytree in Japan, the Canton Tower in China, CN Tower in Canada, the Ostankino Tower in Russia, the Oriental Pearl Tower in China, and the Milad Tower in Iran). The tower also acts as the Islamic falak observatory to observe the crescent moon which marks the beginning of Muslim months. The lift takes only 1 minute to travel up all this distance and the ambiance is mesmerizing. 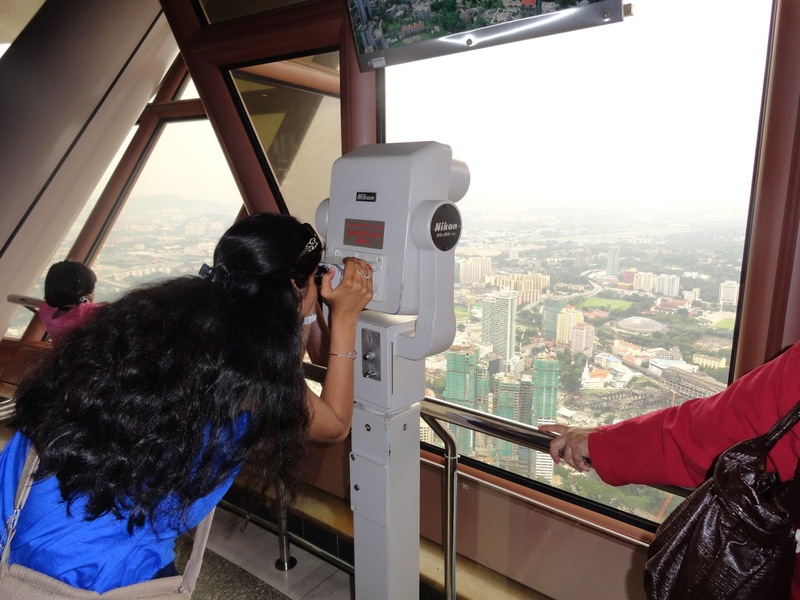 This observatory is open to public at height of 335 meters with binaculors to see the rest of the KL from this tower. 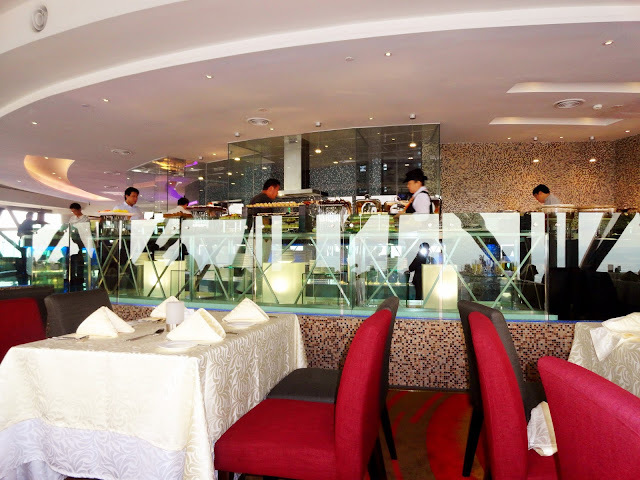 A revolving restaurant goes by the names of 'Atmosphere 360' located at the top of this tower provides beautiful views of the city below. Even the Petronas towers look small from here. 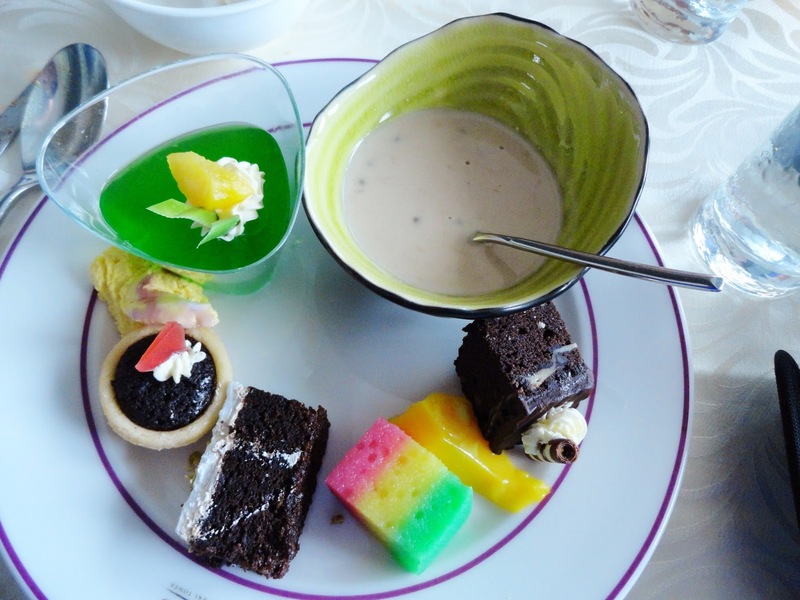 The menu is international buffet with lots of options for vegetarian and non vegetarian. The seating is by corners, and walls are made of glass so that you can observe the world by your feet. It keeps rotating on a slow pace and this just is sooo romantic. At the center of this restaurant is the buffet menu - which has options from chicken to beef to fried vegetables, spaghetti, pastas, sweets. Since I am not much into continental dining, and I felt there were very few options for vegetarian food. So the chef asked me if he can make something special for me. He made me stir fried vegetables of my choice and it was yummy. It is necessary to do a reservation at this restaurant as it is generally packed, especially on weekends. The prices for Lunch buffet, Hi-tea and dinner buffet are different. Yes the dinner costs a significantly more than the lunch as the city lights are more charming than the day time views. And much more romantic dining experience during evenings and nights. Initially we had made reservations for dinner, but when we reached the KL tower it was raining and the staff told us that the weather is cloudy, due to which the panoramic city views would not be great. So we decided to go to china town instead and came back for the lunch next day. 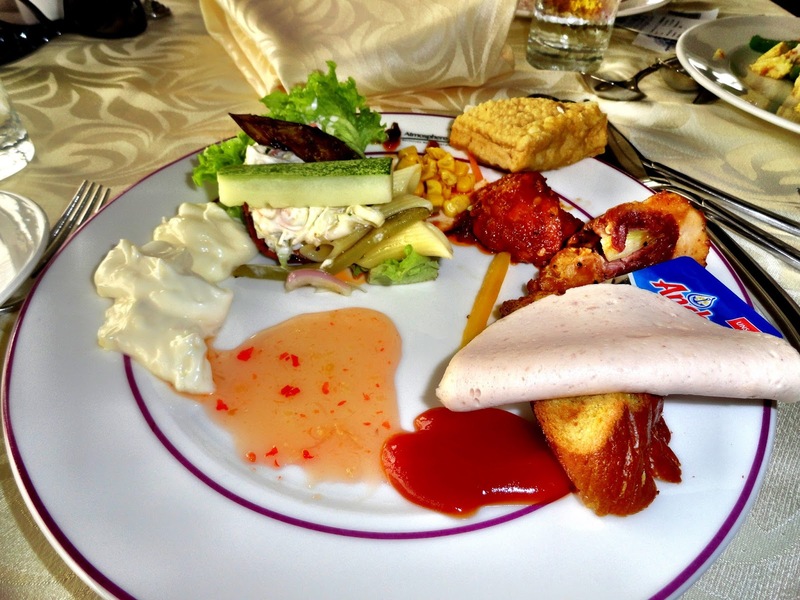 But we did enjoy the lunch time buffet as well. 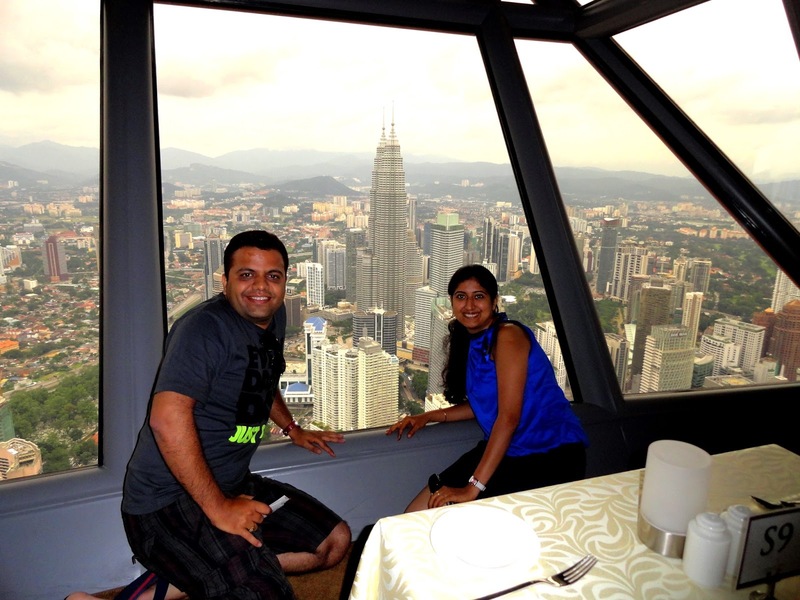 I would recommend everyone travelling to Malaysia to include Menara Tower and the Atmosphere360 restaurant in their itinerary. Great pictures!Looks like a really nice place to be in. Both food and view are grand. I loved the view from the tower but I didn't dine there. Now I have made a note of the restaurant! Lovely pictures. Indeed an experience worth a lifetime. Thanks Archana :) You are quite a traveler... great going!!! 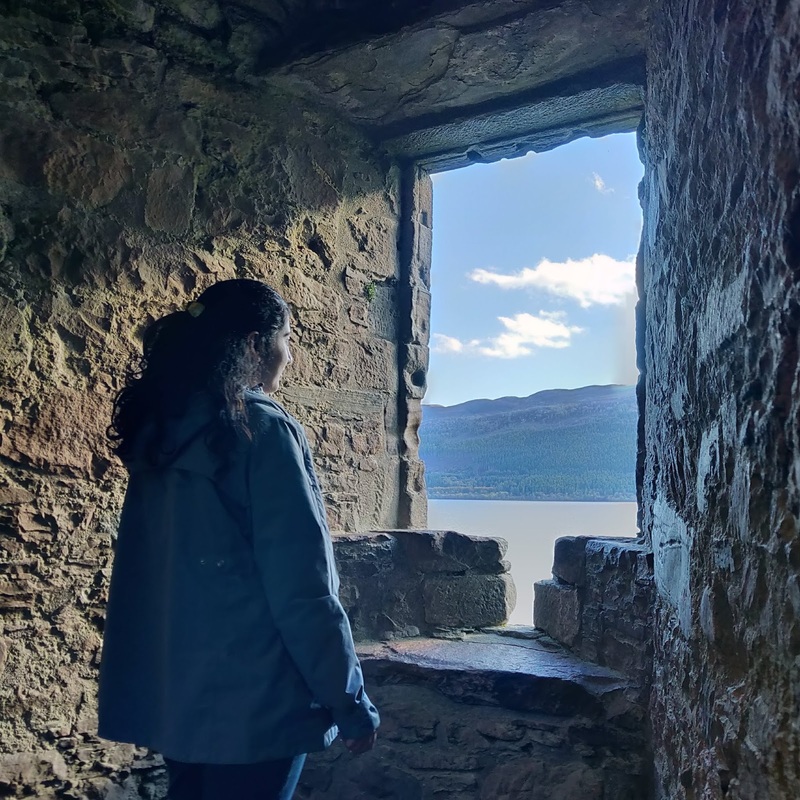 Great photos and beautiful place to visit..